Talha Bin Emran has completed his Bachelor of Science (Honors) and Masters of Science (MS) course from the Department of Biochemistry and Molecular Biology, University of Chittagong. 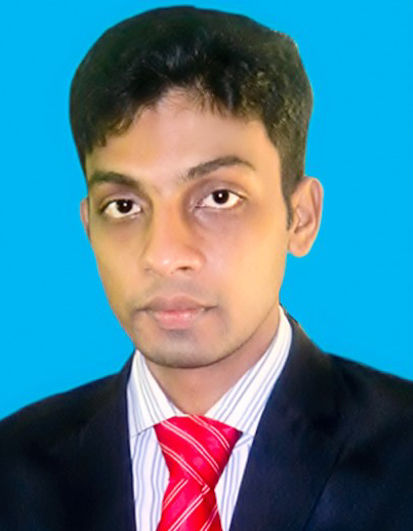 Mr. Talha has been working as a Lecturer, in the Department of Pharmacy, BGC Trust University, Bangladesh. Mr. Emran has published more than 20 research and review papers in reputed international and national journal. He participated in many seminars and conferences to present his research activities.He is a fellow of Academy of General Education, India (FAGE) and a fellow of Ministry of Science, Information & Communication Technology (MOSICT) in the Session 2011-2012 for MS Thesis. He is a life member in Graduate Biochemist Association (GBA) and also a life member of Association of Pharmacy Professionals (APP), India. He is interested in working on the different updated era of sciences, e.g., Gene technology, Molecular modeling, Peptide and Protein engineering, Immunology and Molecular medicine. Phytochemistry and Natural Products, Molecular Biology, Clinical Biochemistry, Bioinformatics, Genetics, Molecular Medicine, Biotechnology and Bioequivalence Study.